Having just finished reading this week’s Freeman’s Journal, my husband and I are elated by the free exchange of well-informed opinions and rigorous arguments we found on those pages. The health of our democracy is dependent on such unafraid, intelligent exchanges. We say “hip, hip, hurrah!” to our editor Jim Kevlin for his editorial and to Topher Hammond and Mike Stein for their vigorously free and honest letters to the editor, and to Adrian Kuzminski for his prudent column that reminds us that there is no easy road to both economic development and sustainable use of energy. At this period of U.S. newspaper history, when local newspapers are dying by the thousands, it should be a matter of pride that our Freeman’s Journal is still so brilliantly alive and free. Let’s give is all the support is deserves for maintaining our freedom of the press, without which our democracy is not worth of the name. The Cooperstown Food Pantry serves more than 200 families a month, averaging 800 people. With over 100 volunteers and one full time Director, we are committed to serving those who face food insecurity and are in need. Recently, during routine cost evaluations, we discovered that fraudulent financial activities had been engaged in by a staff volunteer. Thankfully our financial checks caught the issue. This led to an investigation by the District Attorney’s office. The volunteer has been arrested and charged and we will let the justice system manage the case and eventual outcome. The Cooperstown Food Pantry appreciates and depends on the generosity and trust of our donors and volunteers. Every dollar donated to the Food Pantry goes to serve those families in need. Although the loss incurred was not insubstantial, we remain in strong financial shape and this does not affect our mission or our ability to carry on normal operations. We continue to focus our efforts on providing the best possible healthy and nutritious food to our neighbors in northern Otsego County. We are open Monday-Friday 10-4, and Saturdays from 10-noon. The City of Oneonta has been designated the fifth poorest city in New York State! It’s a real depressing condition that has gradually emerged over a couple of generation. Though the city is not alone in local poverty, likewise families within the entire surrounding area have been on a sinking ship into poverty, too – when in fact we should be one of the wealthiest small urban markets in the entire state! Who’s at fault? Typically, local folks blame Albany and in some cases, D.C. However, the leading candidates for our ever-increasing poverty is the Town of Oneonta, which has had a multi-generational opposition to consolidate with the city. And who are the losers? Town residents for having to live in an “Appalachia-like” community, city residents of course, and indeed all people who live within our outlying little towns and villages. 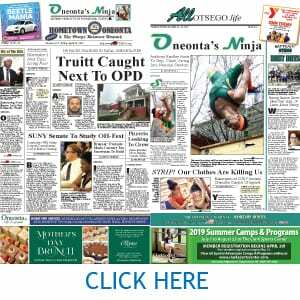 The town’s continued selfish stubbornness is costing the immediate Greater Oneonta area somewhere between $5 to 7.5 million annually (maybe more) in new public revenue; that’s at least $50-75 million over 10 years. Oneonta, would finally be able to do the things it currently can’t. Like moving aggressively on the Downtown DRI. Like completing the Southside water project. We could plan and work as one in the upgrade of local energy and infrastructure matters. And in the common development of the former D&H Railyards. The consolidation solution would also generate the respect of state, national and private-sector business leaders, everywhere, private investors far more willing to invest here. Nope, the town leaders must all believe it’s better to keep our area community and it’s people in a perpetual state of economic weakness and poverty. Town taxpayers and voters should be up in arms against a failed public vision and leadership. And county government? Instead of investing in the City of Oneonta, the county’s most important municipality, they pass off to the city every initiative to make the place even poorer, while annually squirreling away sales and lodging tax revenue to support keeping countywide property taxes artificially low. The County has the good fortune of generating three times more in sales taxes than it does from property tax revenue. Instead of committing some of those county resources to invest annually in a build-up of Oneonta area economic and tourism development, likely unbeknownst to County leaders, they are actually blindly shortchanging their own treasury by stifling expanded commerce in Oneonta. Call it benign neglect! For the sake of turning the corner on Upstate poverty, the State of New York needs to immediately legislate expanded incentives to force more municipal consolidations, while in the same legislation imposing limits on the percentages of sales tax revenues New York counties can apply to their general funds! I know for sure that Otsego 2000 is not the only group that has provided comments to the Oneonta Common Council regarding the GEIS. These comments by so many, should not be construed as opposition to creating jobs in the City of Oneonta. These comments were an outpouring of concern for the railyard property, the wetlands, the stream, continued access to Roundhouse Road and the un-remediated areas of brownfields. As well, there is concern for the future health and wellbeing of the surrounding community that would be affected by industrial growth, including fracked gas infrastructure buildout. A “desperate need for jobs” is not an excuse to forgo careful scrutiny of a project nor to disdain those that fulfill their civic right to comment. A desperate need for jobs is not an excuse to disregard planning that would support a sustainable future. Rather, the need is for an engaged community. As our phone conversation Friday made clear that the inflammatory editorial in last week’s paper regarding Otsego 2000 was published to stir up controversy and generate sales, we respectfully decline to respond in these pages. 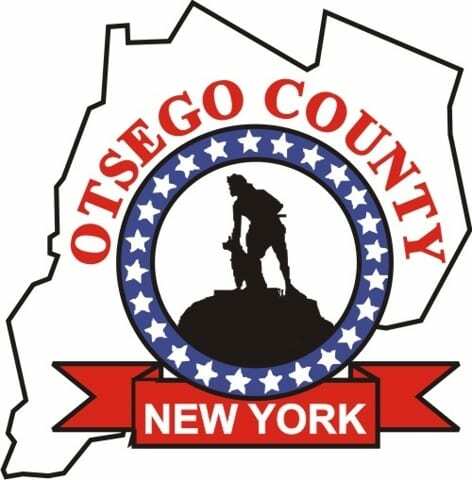 If anyone would like to learn more about what Otsego 2000 stands for, please visit www.otsego2000.org, follow us on Facebook, or give us a call at 547-8881. The global society is facing lots of serious issues. The war in Afghanistan, Syrian recovery, Brexit, immigrant migration, the Mueller report, corruption, police brutality, etc., the list goes on and on. One issue spans the globe, involving everyone, rich/poor, privileged/deprived, black/white, straight/gay, that being the current change in Earth’s climate. Ignore it if you wish, but it won’t ignore you. Why all the fuss? Hasn’t the contamination of our life-giving atmosphere been made clear? Aren’t we all aware of the frequency of extreme weather, such as the recent blast of frigid air delivered by a Polar Vortex? Haven’t the scientists clearly demonstrated the ramifications of shrinking Arctic Sea ice? Does anyone not know glaciers around the world are rapidly thinning and shrinking, thus causing sea level to gradually creep onto land threatening coastal communities? And the biggest question of all: why aren’t effective measures being taken by government leaders to prevent a drastic impact on our Global Society? There was a time when we could count on America to lead the way, not anymore. For the past several decades, atmospheric warming has increased at an unprecedented rate, all of which is attributed to pollution. International efforts to address this problem, such as the Paris Accord, set goals to reduce human impact, but none have been effective and the problem persists with no solution in sight. Ask yourself why? If you don’t see this as a problem, you are ignoring reality. However, there is hope. The younger generation is getting involved. They have good reason to be concerned, as expressed by demonstrations around the globe demanding immediate attention to the single most threatening global issue since WWII, that being Climate Change. They recognize that the impact of ignoring the problem today will be to cause greater societal and economic stress later. Interestingly, 50 percent of adult Americans acknowledge the human impact on changing climate, yet an equal number doubt if it will have a direct influence on them. Therein lies the problem – they say, “I won’t have to deal with it, so why should I upset a comfortable economic life-style for something that can’t be guaranteed to affect me”. Extinction comes about when organisms can’t adapt to threatening changes fast enough. Let me be clear – the human race is not being threatened by extinction as a result of Climate Change, but our instincts tells us that if we adjust to environmental changes now through voluntary action we can avoid an undefined reaction by Mother Nature later. The younger generation and millennials will have to live with these changes, not the “baby boomers” who currently have the authority to act but don’t. No wonder the youthful are demanding we take action now to preclude imposed, more severe future adjustments. It boils down to whether or not we deal with problems that influence us in our lifetime or procrastinate, hopeful of self-resolution. Weeks and months, and possibly years are in our normal frame of reference. Beyond that it’s really difficult to project. The “inconvenient truth” (to borrow a phrase) is that we don’t deal with longer spans of time very well – they seem too abstract. The relevance of the immediate future tends to dictate. The Balance of Nature works on a different metronome and is constantly adjusting. Perception is reality, so the baby boomers in our government who are in a position to do something are doing nothing. “Let’s not upset the economy”, rationalizing that science can’t guarantee how Climate Change will play out. Well, with few exceptions, such as the Law of Gravity, that’s not the way science works. Science defines the problem, gathers essential information, analyzes results, and then draws conclusions. Waiting to see what Mother Nature has in store is not the answer. The problem has been defined. Essential information has been gathered and analyzed. We will have to rely on the younger generation to take charge and demand changes that deal with the problem. active and committed community partner and service provider in the City of Oneonta and Otsego County. If you’ve had a bagel and coffee at the Oneonta Bagel Company, received job assistance through Supported Employment, or information through our Community Education Project, you know RSS. We are proud to have built many longstanding and productive relationships in Oneonta, as well as a proven record of delivering successful programs to address critical community needs. 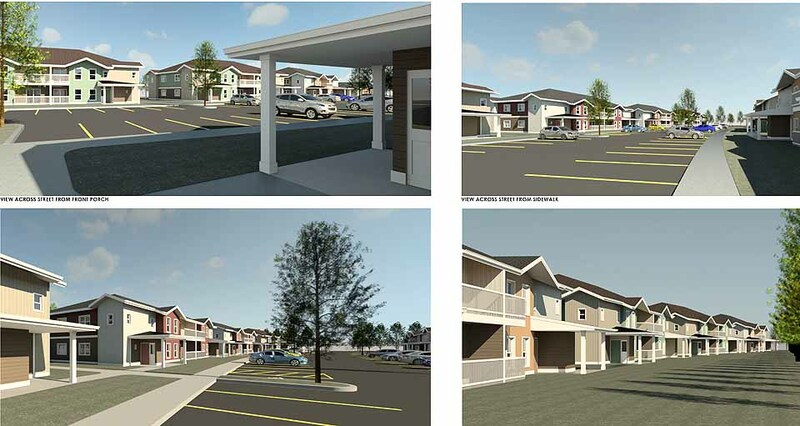 For those reasons, it has been discouraging to read a number of misrepresentations regarding our planned Riverside Apartments project on River Street. The so-called “intelligence community” was behind the ridiculous allegations that Russia was the cause of Hillary Clinton’s resounding defeat in 2016, and the Democrats jumped on the bandwagon, and played up this pathetic conspiracy theory to the hilt. Apparently the Democrats have nothing to offer America other than smear campaigns against their adversaries. Two years later, Mueller had to fold his tent without any charges being brought against Donald Trump. This letter is in response to your March 20 article on the process to develop new zoning in Richfield, “Petition Drive in Offing,” and a follow-up letter from Larry Frigault, Richfield Town Board member. To recap, the March 20 article highlighted concerns that the proposed zoning for Richfield would limit business in the town. The article also wondered if, with “windmill foes” and their allies now in control of “the whole apparatus of the Richfield town government,” the new zoning might pass. What the March 20 article WASN’T about was the new Richfield Comprehensive Plan, but Larry raised the Comp Plan in his letter. Let’s note of what Larry said about the Comp Plan: It was created by a large group of volunteers (14 in total) working with professional guidance. Contrary to what Larry stated, however, there were limits on who could be on the Comp Plan Committee. I read with disbelief the factual errors, insinuations and conclusions put forth in this past week’s edition concerning the Town of Richfield’s governance. I have only been on the Town Board two years, hardly enough time to “take over” anything as implied. A fundamental rule of democracy is the voters get to decide who best represents them. I ran openly advocating for a Comprehensive Plan and the corresponding update to our land-use law to support it. Everyone would know I opposed the industrial wind project. I support people who support the goals of putting the town and village in a strong position to economically expand using the principals of Smart Growth which allow us to expand our economic base while maintaining the character of our community, all in an environmentally sensitive way. This is exactly what our award-winning Joint Comprehensive Plan promotes. The Comprehensive Plan was created by a group of volunteers with professional guidance. There was no selection process for this committee. If you wanted on the committee, you were allowed on, hardly a takeover. It’s true many people now involved gained a new appreciation of why they needed to get involved after our Planning Board, led by Don Urtz, voted to approve the Monticello Hills industrial wind project. Our current law should have protected us and didn’t. The industrial wind permit approval happened over the objections of a majority of the residents who would actually live among the machines. Over 200 people signed a petition specifically stating they objected to the project because of the negative effects it could bring – an important fact ignored by most of the Planning Board. Most of the Planning Board at the time also ignored landowner agreements between some of the project neighbors and the wind developer which contained specific easements for the negative effects the wind project could inflict. These negative effects are specifically named in the current ordinance as the reason why the permit should have been denied. When people realized their health, safety, value of their property, and the “right to quiet enjoyment of their property” were not being protected, they got motivated. Many voted and some took positions as they became available. While true, many residents currently serving on the various boards recognize the issues which come with industrial wind, this has not been a sudden, hidden agenda. It is a disrespectful insinuation that these individuals are only participating to stop wind. They are independent, intelligent, hardworking people who want to see Richfield prosper and recognize the current ordinance hinders that goal instead of fostering it. Using industrial wind to frame the updated ordinance is disgraceful. “The Last Picture Show” was the last movie of the season in the film series sponsored by the Friends of the Village Library. The 1971 film is directed by Peter Bogdanovich, based on a Larry McMurtry novel. The black-and-white film is set in a small, dying, North Texas town. There is little to do, and the only movie house, on Main Street, is about to close for good. A cold wind blows, and winter melancholy evokes of a ghost town in the making. It is not a pretty picture. Here in Cooperstown, the movie house, Smalley’s, is long gone, and now so too is the General Store. The building where CVS stood lies vacant. Driving down a darkened Main Street after the film, one couldn’t but notice other shuttered storefronts and blinkered buildings. This is the economic decline of rural America at our doorstep. Economists opine that small-town declines are irreversible. So do we roll over and let the town die? We know what ails us: Young people, finding no opportunity here, go elsewhere, leaving an aging population behind; inadequate infrastructure in the form of farm-to-market roads and bridges, power grids, and rural broadband keeps us stuck; affordable housing is scarce, the retail base has been devastated (there used to be two hardware stores on Main Street), farmlands are vulnerable as zoning and master plans go unenforced, practices for climate resilience are wanting, and rural poverty gets worse. What, I wondered that night, did the several local politicians and local notables in the audience think, having seen the same movie I did? Was it just a classic film made 48 years ago about a faraway town with no resonance to the present? But we do! There are plenty of organizations and entities in the area, but seemingly little coordination. It behooves community-based organizations, philanthropy, and the public sector to work together and proactively come up with solutions that cross boundaries and purviews. If rural lives matter, we expect no less.